Mybitsandbleeps reviews The Priest and the Peaches, "A heart-touching story that illustrates good will towards others, and how courage can get you through turmoil." At YA Bound, Larry says about The Priest and the Peaches, "I feel that writing for the YA market is not just about story telling it is also about being responsible to your youthful audience." The Bibliophilic Book Blog reviews The Priest and the Peaches, "A poignant novel of living your truth and leading by example." At Sweeping Me, Larry says about The Priest and the Peaches, "So my plans for 2012 are as follows: I will be writing and trying to get better at it." Sweeping Me reviews The Priest and the Peaches, "The book was really good. I found myself with so many emotions about these kids and all they had to endure." At Reading Teen, Larry says about researching The Priest and the Peaches, "I grew up in the 1950s and 60s and the majority of the information I needed was right inside my head." Kritters Ramblings says about The Priest and the Peaches, "A family of five siblings - one girl and four boys, have buried their mother, grandmother and now their father, so they must band together and create a new family unit." At Frugal Fun, Larry says about The Priest and the Peaches, "The setting for the book is the Bronx and it was my world as a kid, a world that never leaves anyone no matter where you grew up." 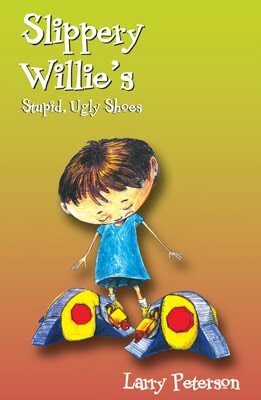 At Let's Book It, Larry says about The Priest and the Peaches, "Why do I write about children dealing with adversity, perseverance, etc.? The Priest and The Peaches revolves around five newly orphaned kids. Those five kids are based on my brothers, sister and myself. Trust me - there was some serious adversity going on there." Crazed Mind says about The Priest and the Peaches, "I think that it would be good for a tween to see that even in the worst of times things can work out. We all have to deal with death at some time in our lives. Sadly these kids have had to deal with it all too much." Coupon Scribbles says about The Priest and the Peaches, "Here’s a book that will tug at your heart strings that you will definitely not want to put down!" At There for You, Larry says about writing The Priest and the Peaches, "I am a blue-collar guy and I think my writing reflects that because it is not expansive or flowery but rather, short and to the point." At Eve's Fan Garden, Larry says about The Priest and the Peaches, "They have no money, the rent is past due, the utility payments are behind and the younger boys need clothes and shoes." About the cover, Eve's Fan Garden says, "I really love the cover! I love the use of color and shadow to create a quite complex cover. Look at it for a few minutes and you will see something new each time you look at it." Colorimetry reviews The Priest and the Peaches saying, "Each of the Peach kids have their own personality. I could picture each of them with their ages and characters." 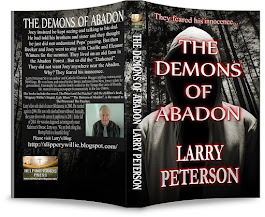 In an interview, Larry goes on to say, "My brothers and sister did lose our parents when we were very young and, trust me, it was quite the everday adventure moving forward." At Moonlight Book Reviews, Larry admits that The Priest and the Peaches started out with the Peach kids in the present day as adults before he decided to take them back to their childhood in the 1960s. 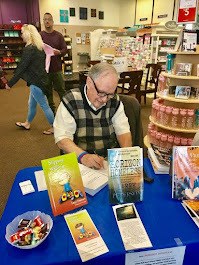 At Clover Hill Book Reviews, Larry explains how deeply invested he was in creating every character for The Priest and the Peaches - from Joanie Peach to the pallbearers at her father's funeral. At ...the bookworm..., Larry says in creating characters for his work like The Priest and the Peaches - "[Someone I meet] will be unconsciously placed in my mental rolodex for future reference as a possible character and I do not even know it at that moment in time"
At Dr. Bill's Book Bazaar, Larry says The Priest and the Peaches - "shows the value and importance of familial love and how powerful it can be, especially when faced with crisis." At The Children's & Teen's Book Connection, Larry reveals his inspiration for writing The Priest and the Peaches: "It just seemed to me that this was a good time to tell a story about a family of kids who, because of the nurturing of their deceased parents, realize the importance of being a family and are determined to remain so, no matter what." 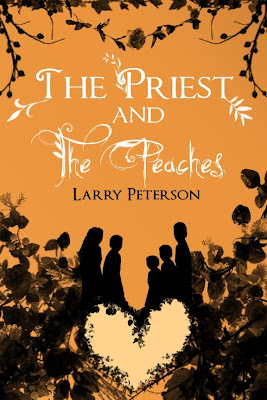 Back to Books reviews The Priest and the Peaches saying, "This book is one of those books that could be a complete hit or miss for me. To my surprise however, it was a complete home run. 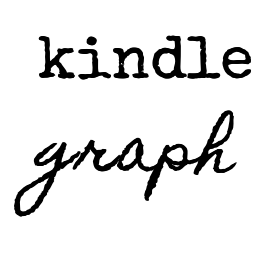 I don't know why I connected so well with this book, but I did." 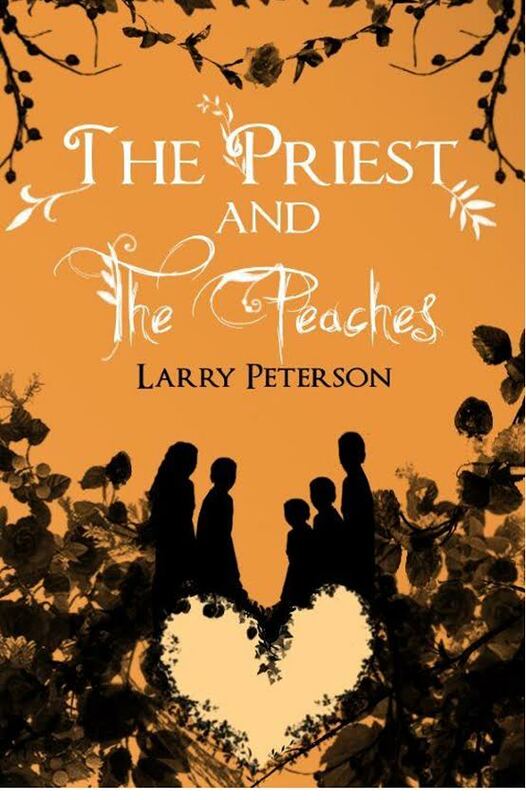 The Children's & Teens' Book Connection reviews The Priest and the Peaches saying, "What I feel the author excelled in is how the characters evolved throughout the story. I was glad to see that not everyone had a change of heart, which kept the story real." Downtown YA interviews Larry about The Priest and the Peaches as he previews the sequel, "The younger boys go to rural New Jersey for their summer vacation to stay with friends of Father Sullivan’s. Things will happen and we shall delve into the paranormal, no vampire or zombies, but rather a good vs evil thing." The Phantom Paragrapher spotlights The Priest and the Peaches. Readinista hosts Larry as he talks about two of the main characters in The Priest and the Peaches - siblings Teddy and Joanie Peach: "The fact was the Peaches had been instilled with a deep sense of family love and, for Teddy and Joanie, that sense of family and looking out for each other took precedence over everything else, especially when the chips were down." 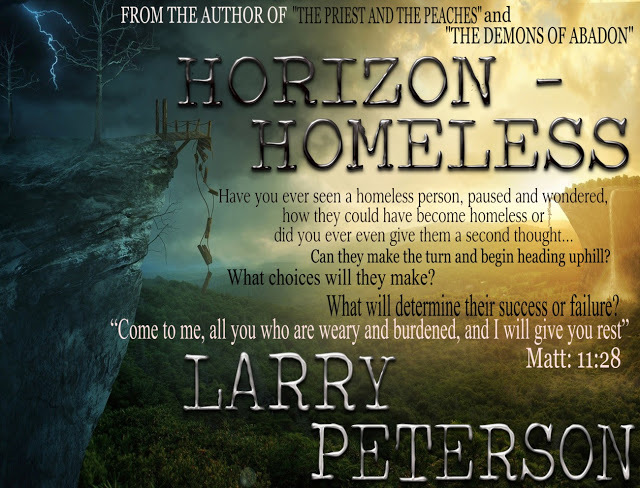 Promoting The Priest and the Peaches at Moonlight Gleam's Bookshelf, Larry says, "Basically, I am a blue-collar guy. You know, I always wanted to be a writer but it took me a very long time to actually get here." Of The Priest and the Peaches, Tiffany's Bookshelf says, "I liked the story, and thought it quite sweet." Read 2 Review gives The Priest and the Peaches 5 out of 5 stars: "One of those gems that I found by entering out of my comfort zone." At Sandra's Blog, Larry talks about the situation that Teddy faces in The Priest and the Peaches: "It's not always 'pretty.' I think you have to admire him for that." At I Am A Reader, Not A Writer, Larry says about The Priest and the Peaches: "I see parts of myself in all of my characters. They are never strangers to me." To read the full interview and to enter the giveaway, click here. So Many Precious Books, So Little Time is offering a giveaway of The Priest and the Peaches. 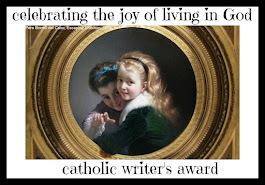 At the Catholic Writers Guild, Larry guest blogs about his strategy for writing The Priest and the Peaches. Take a seven day journey with the five, newly orphaned Peach kids, as they begin their struggle to remain a family while planning their dad's funeral. 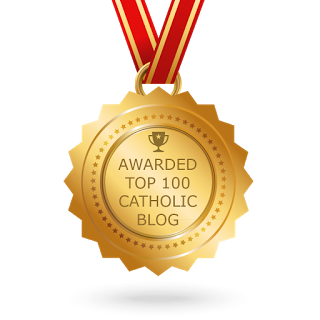 They find an ally in the local parish priest, Father Tim Sullivan, who tries his best to guide them through the strange, unchartered and turbulent waters of "grown-up world." A story that is sad, funny, and inspiring as it shows how the power of family love and faith can overcome seemingly insurmountable obstacles. Launching "The Priest and The Peaches"
Just wanted to empty myself a bit. 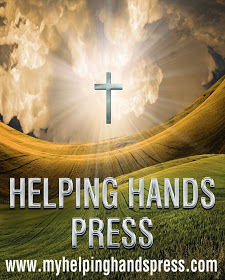 My first novel, "The Priest and The Peaches" has been officially launched and I must admit, it is a scary time for me. As an author you spend inordinate amounts of time putting the work together. From the original idea that danced around inside your head to scattered notes, onward to a first draft you go. You now have gotten wet up to your ankles. You read what you have and think, "This stinks", and start over. Now you are in up to your knees and have to re-write again. Maybe six months has gone by or maybe two years. Some folks take ten years to actually write a novel. (It took me about a year and a half) When I finally looked at the finished work I knew in my heart I was done. I also knew that I should go back and make it "better". But you have to know when it is time to get in the '"deep water" and see if you will sink or swim. That is the time you expose yourself for what you are as a writer. For me, I am in the deep water and, so far, I have not went under. It is hard to believe, but the book has received some wonderful reviews. A half dozen folks have contacted me and they have all told me that they "couldn't put it down" and read the entire book in one sitting. That blows me away. Anyway, I am humbled by the fact that I was able to create something that brought enjoyment to others and simultaneously put forth the good message of "Love your neighbor". The book has only been out about a week so time will tell its future. Onward and forward. The sequel is in the works and I am almost up to my ankles. 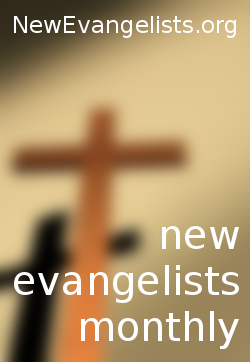 At Mission to Read, Larry guest posts about a subject he doesn't often talk about - his emotions. He pushed the doorbell and waited. He heard a faint voice coming from inside. “Oh, just a moment, please. I'll be there as soon as I can. I'm not moving very well. Hold on, please.” It sounded like someone was trapped in a deep hole calling for help as they attempted to climb out. A few moments passed before Miss Amon slowly opened the door. She was dressed in a floor-length, gray housecoat, a maroon, button-down wool sweater and a pair of rubber boots. Her body was sort of listing to one side and she was holding an ice pack to her bruised forehead. Father Sullivan followed the slow moving, lucky-to-be-alive woman into her apartment. She immediately headed to the sofa, as she fell more than sat on it. She took a deep breath while simultaneously emitting a soft moan. Leaning her head back, she removed the ice pack, shook it to rearrange the ice inside it before placing it back on her forehead. Tribute Books Mama says The Priest and the Peaches is "very heartwarming." Heidi Ruby Miller asks Larry who his favorite character is in The Priest and the Peaches. 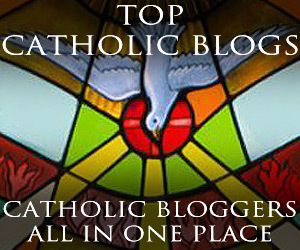 BlogCritics Regis Schilken says, "The Priest and the Peaches is one of the most delightful Christian books on today's market. 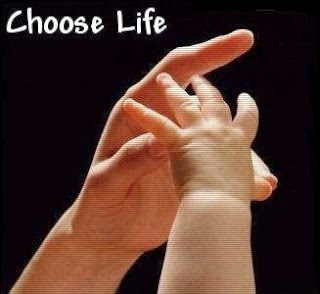 It is a touching tale because it is so human." Officer Joe was by the doorway with his back to the room talking to the nurse in the hallway. Dancer stepped quietly to the side of the unsuspecting policeman then bolted from the room. Officer Tommy, talking on the pay phone in the lobby, caught a glimpse of someone running. He turned to see Dancer headed for the exit. He dropped the phone as he ran after him but Dancer made it outside. He turned left and kept going—running faster than he ever had in his life. Dancer turned and looked up at the man he almost knocked over. It was Father Sullivan. 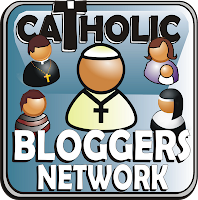 If you have a blog and would like to join The Priest and the Peaches blog tour for a book review, author interview or guest post, please email info@tribute-books.com to sign up. 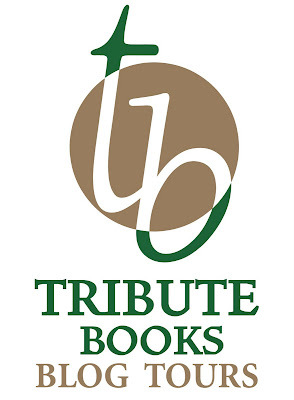 For more information on Tribute Books Blog Tours, click here.